Monsoonal rain across the NT Top End was concentrated in northwest coastal parts overnight where it eased around dawn with the main rain influence moving into the WA Kimberley. Port Keats, on the coast 250km SW of Darwin, recorded 93.0mm in the 6 hours to 3am for a 24 hour to 9am total of 212.0mm. However, at Bradshaw, 150km SE of Port Keats, torrential rain fell later -- 60mm in the 6 hours to 3am followed by 80mm in the 3 hours to 6am -- for a 24 hour total of 213.0mm. 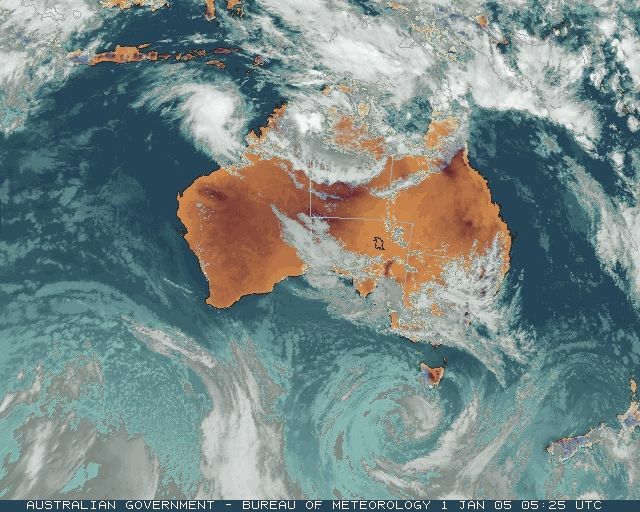 A low in the monsoon trough off the north Kimberley coast focussed thunderstorms and the heaviest rain this afternoon on the western side of the Joseph Bonaparte Gulf in the East Kimberley. Kununurra recorded a downpour of 43.0mm in half an hour to 2pm, with a total of 73mm falling between noon and 6pm. 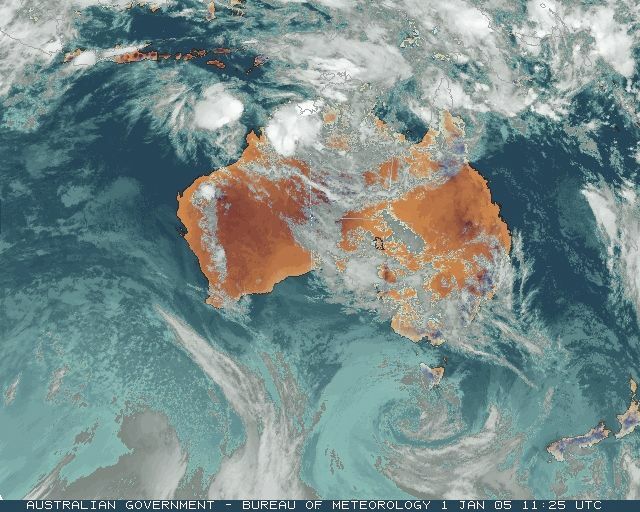 The low was being watched as a potential cyclone. Heavy rain continued overnight on central parts of Cape York Peninsula QLD leading to 24 hour to 9am totals of 257.4 at Lockart River and 132.0 at Merluna, about 75km to the WSW. For details of other heavy falls see wettest and downpours below. These records are as received at 0848 EST on 05/02/2006. Help in interpreting these statistics and information on quality control is here.